Managing Attorney at Pearson Disability Law, LLC, Named to Rising Stars List. Pearson Disability Law, LLC has helped thousands of disabled individuals in the Chicago area receive social security benefits. Pearson Disability Law, LLC, is proud to announce that attorney Jonathan L. Pearson has made the Super Lawyers Rising Stars list for the fourth consecutive year. Super Lawyers is a nationally recognized rating service that annually selects the top attorneys in each state based on independent research and evaluation by a peer panel. Attorneys are eligible for Rising Stars if they are age 40 or younger or have been practicing law for 10 years or less. Only 2.5 percent of nominated attorneys are chosen for the Rising Stars list each year. Chicago lawyer Jonathan Pearson is the managing attorney of Pearson Disability Law, LLC, with six Chicago area offices. He practices Social Security disability law exclusively, helping clients receive the disability benefits that they need. Jonathan’s clients work with him on a personal basis and pay only if he is successful in winning their case. 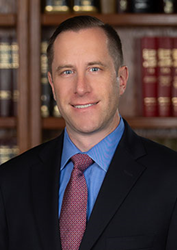 Jonathan received a bachelor’s degree in psychology from the University of Delaware in 2001 and juris doctor from the New England School of Law in 2005. Jonathan is a member of the Chicago Bar Association, DuPage County Bar Association, Illinois State Bar Association, and the National Organization of Social Security Claimants’ Representatives. Pearson Disability Law, LLC has helped thousands of disabled individuals in the Chicago area receive social security benefits. In addition to its Chicago office, the firm now assists clients from convenient office locations in Downers Grove, Evanston, Lake Forest, Schaumburg, and Orland Park, Illinois. If you are unable to travel, Attorney Jonathan L. Pearson offers accommodating consultation options to meet your needs, view the office visit page for more information. If you need help with your Social Security disability application contact an experienced and knowledgeable Chicago disability lawyer at Pearson Disability Law, LLC today at 312-999-0999 or visit https://www.disabilitylawyerschicago.com.